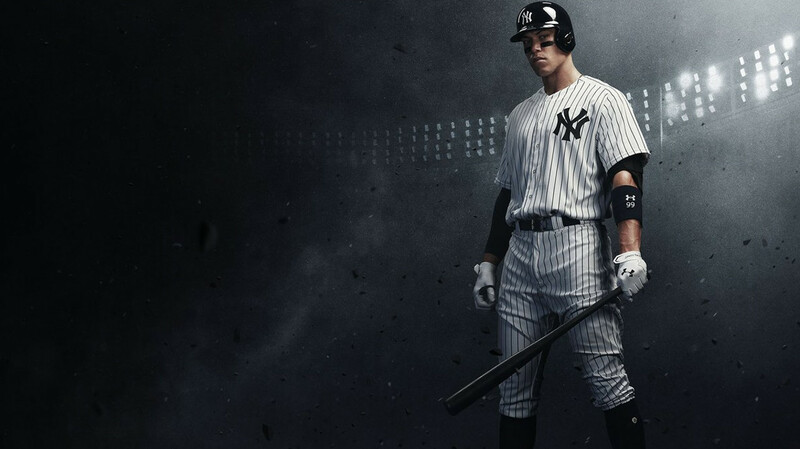 The sixth substantial post-release patch for MLB The Show 18 arrived early this morning. This is now the fifth update to directly alter the hitting system based on problematic consumer feedback, while the also-prominent pitching and fielding issues have been worked on at least three times each through those prior patches. The changes are substantial and could make a dramatic difference to success at the plate. Curiously the development team seems to be blaming the game for what they describe as being too much of a simulation rather than attributing the concerns to legitimate errors found with how the PCI placement was translating to contact. In addition to hitting changes the pitch speeds have been increased in online competitive modes. We’ve always strived to make the most realistic simulation baseball game on the market, and we’ve come to realize that some of our simulation systems have adverse effects in the online competitive environment. We believe it’s important that online competitive play is predicated on fair and balanced gameplay emphasizing user skill. On that note, we have been actively evaluating and testing changes internally that reduce certain simulation components in order to better achieve our competitive goals, while still maintaining the components that accurately simulate Major League Baseball. ♦Adjustments made to the range of PCI movement outside of the strike zone on all difficulties beyond Rookie. Veteran is allowed 1.5 inches. All Star, Hall of Fame, and Legend is allowed 3 inches. We noticed some hit-type issues with balls low in the zone, which is likely one of the driving factors of the current pitching meta. Players will able to extend their PCI below the zone allowing them to generate new hit types (eg: line drives, fly balls, etc…) Extending the range will also allow for better delineation of player skill with pitches just outside of the zone. ♦In two-player games, hit types will more closely match PCI input (after timing, attributes and all other factors are involved). Single-player is unaffected. This is a slight reduction of simulation aspects that we mentioned earlier that could have pushed a hit type up or down two categories based on the hitters fly-ball or ground-ball tendencies. To clarify, we haven’t completely removed those tendencies, but they have been reduced to better match the results of your inputs. Remember, there are a lot variables that go into every hit ball. ♦Slightly smaller PCI coverage, affecting weak hits and tip fouls. Does not affect solid region of the PCI. This change affects all modes. We made this change in response to not only the feedback we’ve been hearing but also in response to the current meta and our own data analysis. The change will inevitably induce more swing-and-misses especially for low vision/contact hitters. Remember that the PCI does not represent the barrel of the bat. ♦Accuracy improvement for Swing Analysis PCI feedback, especially when swinging early outside or late inside. This affects the visual OSD only and not game play or results. Keep in mind that even within ‘Good’ timing feedback, you can be slightly early or late – when early outside or late inside, this triggers a small power penalty and moves the PCI slightly. ♦Smaller PCI and slightly increased pitch speeds in Ranked Seasons, Battle Royale, and Events. This change is the culmination of community feedback and data analysis from the limited time events and Battle Royale tests that were run previously. ♦Users will no longer be penalized for quickly re-entering the pause menu in BR games. ♦Users will now be prompted to pinch hit in BR when a pitcher steps up to the plate. ♦Created Players in Diamond Dynasty will now accurately show stats above 99 while in game. Note: equipment bonuses will not display in the front end DD menus. ♦Fixed certain stats within the Universal Profile that were showing incorrect values (Offensive: H, R, HR, SB. Defensive: H, ER, K, HR, BB). Users may see these stats have reset, but will now record correctly.